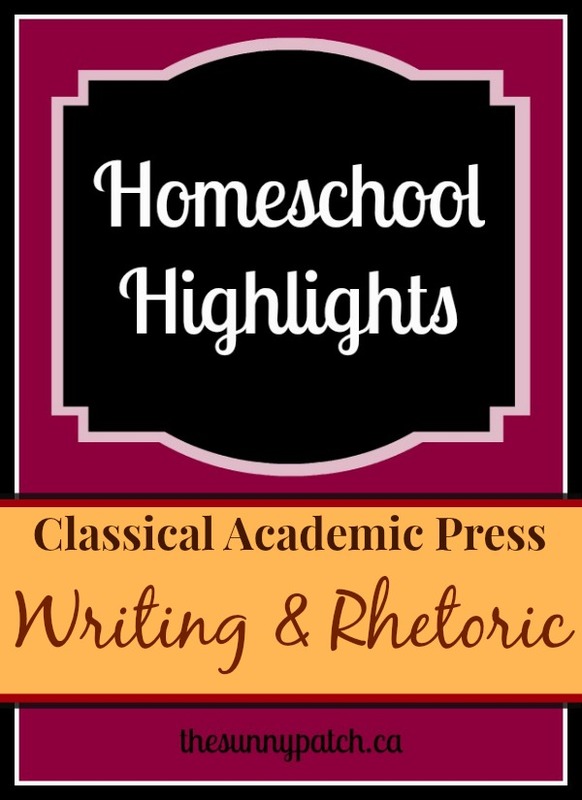 Classical Academic Press has made a name for itself in the world of homeschooling. With its diverse assortment of programs - from Latin, Greek & Spanish to logic, Bible study & writing - they offer high-quality programs that even non-Classical homeschool families are enjoying. One of their newest programs, Writing & Rhetoric, is fast becoming one of my favorite writing programs. The Writing & Rhetoric program is a series of 12 books (the first 3 books are currently available) for grades 3-9 (students should cover 2 books per year). Setting aside modern writing philosophy, the program creators instead focus on the progymnasmata. You can learn more about the various levels at the Classical Academic Press website. Let's take a look at book 1! The first book in the series includes 14 lessons, a one-page outline of a typical writing week, an introduction, explanation about the progymnasmata, and a few end pages (instructions for elocution, glossary & vocabulary sections). The full program includes a teacher's edition (a replica of the student book with some added content and instruction), a student book, and an audio file. There are some really generous samples of the program on CAP's website. Each lesson is easily divided into smaller portions spread throughout the week and there are instructions for classroom use as well (though it's very easy to use in a homeschool setting too). We easily cover 1 lesson per week. We could probably move a bit quicker but TJ also has writing assignments in history and science as well as dictation in spelling so I don't want to add too much more writing on top of what she's already doing. What does a week of writing look like? We begin our week by reading the lesson introduction and then I read aloud the fable. After I finish reading aloud, TJ narrates the story back to me. Then we talk about the reading (the teacher's edition does a fabulous job of guiding the discussion) - I ask questions, we discuss vocabulary, parts of speech, and other topics. There is a minimal amount of writing for this first day - perhaps a few sentences. The next day, TJ reads aloud the fable before we move on to the next section in the book, 'Writing Time' which consists of copywork, dictation, and various writing exercises. Depending on the assignments, we will divide this up over 2-3 days. 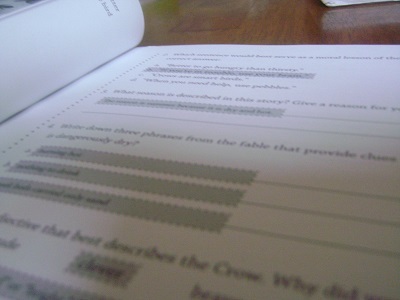 The first day we'll do the first few sections together (Copywork, Dictation, Sentence Play, and Copiousness). After that we move on to the longer writing assignments, doing one each day (there are 1-2 writing assignments per lesson) and finishing with the 'Speak It' section. We spend about 20-30 minutes a day, 3-4 days per week working through the exercises in the book. Book 1 does a wonderful job of teaching summarizing skills. TJ has no problems at all with adding details (which is also taught in this program) but she needs to sharpen her summarizing skills. She is learning a lot about pulling out the important details in a story and I'm impressed with her growth in this area. The assignments are packed full of useful ideas that will make your child think. You won't find any fluff assignments here. I am impressed with this program and look forward to trying more books in this series. It's definitely a great resource to have in your writing toolbox.